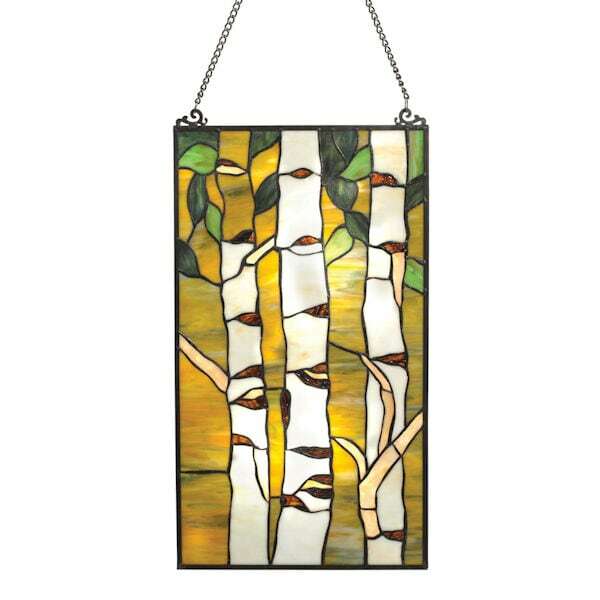 Birches Art Glass Panel - Window Sun Catcher - 12" x 21"
Exclusive! Slim birches stand tall in an idyllic woodland scene. Hang it in a sunlit window and enjoy its stillness. 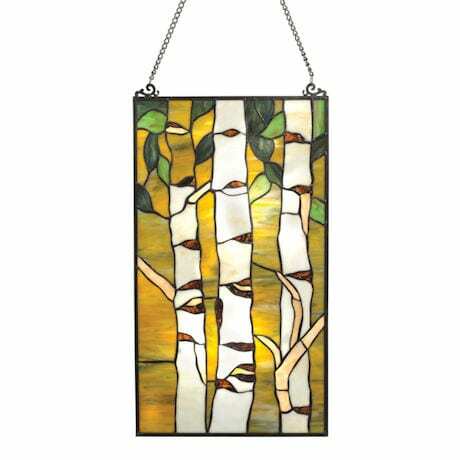 Panel is crafted Tiffany-style from 95 cuts of art glass joined with copper foil and framed in metal. 12" x 21". Hanging chain included.